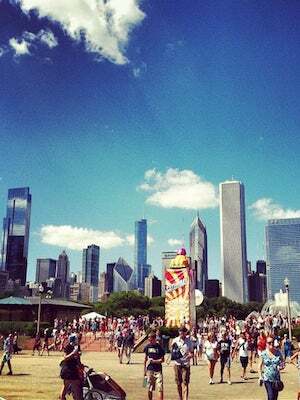 Update: These Rumored Lollapalooza Headliners Are Real! In the midst of the dog days of summer, there's a special weekend in August where alternative-music lovers descend upon Chicago's Grant Park and mingle with fans of EDM, hip-hip, and rock. Lollapalooza has been increasingly successful since its relaunch in 2005, scoring the likes of Florence + The Machine, The Black Keys, Black Sabbath, Lady Gaga, and Eminem as headliners (talk about variety). It's a festival that simply caters to any music and sound — and that's pretty cool, considering other music festivals often stick to one or two genres. And now that we've slept off our SXSW hangover, you can bet we're gearing up for round two. The lineups for Coachella, Bonnaroo, and Governors Ball have been circling through the blogosphere and music scene for months, but Lollapalooza has been keeping us hanging.